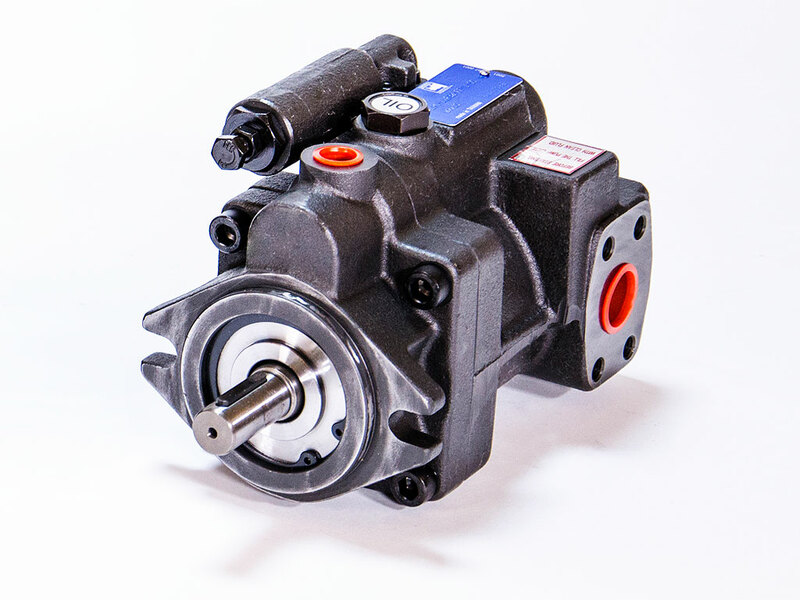 Continental Hydraulics PowrFlow™ PVR Vane Pumps deliver the rugged, reliable performance and value you’ve come to expect in all our products. The pumps are designed to meet requirements of the machine tool, general machinery and other markets where low noise, high performance and competitive pricing are needed. Competitively priced with other manufacturers of vane and axial piston pumps. Reduced sound levels help meet government and purchased sound requirements. High performance and long life design. Fast reaction time for critical system demands. Pressure compensated pumps controls delivery to circuit demands thereby conserving energy. Hydrodynamic journal bearings provide long life and quiet operation. Repair kits are available from local distributor or the factory. Control option include single stage, two stage; load sensing, and torque limiting on most models. Shock clipper reduces shock pressure increasing system component life and stability. Continental Hydraulics PowerFlow™ PVR Vane Pumps deliver the rugged, reliable performance and value you’ve come to expect in all our products. Simple Construction for long, dependable service. More contamination-tolerant than competitive pumps to improve dependability and reduce maintenance costs. The PVER pumps are variable displacement vane pumps with direct pressure regulator governor spring for fast on/off response.